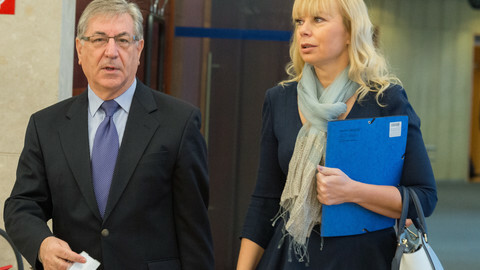 On 17 May, the same day the European commission took nine EU countries – the Czech Republic, France, Germany, Hungary, Italy, Romania, Slovakia, Spain and the UK – to the European Court of Justice for failing to implement measures to curb air pollution, the mayors of three European capitals – Brussels, Madrid and Paris – asked the court to reject the 2017 EU regulation that sets caps for diesel engine emissions. The 110-percent tolerance margin in the emissions of nitrogen oxide (NOx) by new cars on road tests is twice the limit set for laboratory tests, thus granting car makers extra "polluting permits". The court is due to issue its verdict before the end of the year. In Europe, more than a third of those killed each year by toxic particulate matter (PM) – associated with unlawful diesel emissions exceeding the EU limits – live in about 100 conurbations. These areas, counting almost 100 million inhabitants altogether – almost 20 percent of the overall European population – are mainly located in Italy, France, Germany, the United Kingdom, the Netherlands, Belgium and Spain. 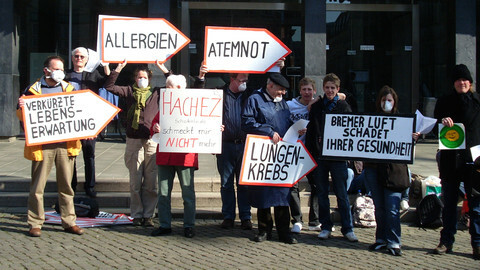 They account together for 1,500 – 2,000 people who died prematurely due to PM resulting from excess diesel emissions. 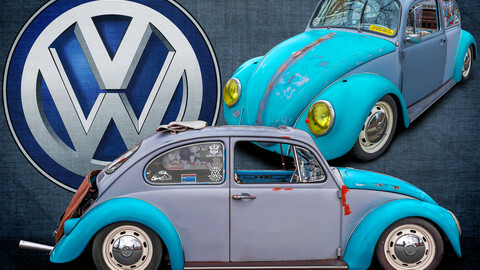 These deaths are the consequence of Dieselgate - the scandal sparked in 2015 through the revelations about Volkswagen's fixing of emissions tests by the Environmental Protection Agency of the United States. This outrage revealed to the public how the automobile industry, as a whole, circumvented EU diesel-emissions surveillance mechanisms by cheating on compliance tests. We compiled the blacklist of European communities with the highest death toll, using further data included in the study published in September 2017 by the International Institute for Applied Systems Analysis (IIASA) and the Norwegian Meteorological Institute (MetNorway). This study, covering EU member states, Norway and Switzerland, warned that nearly 5,000 people die prematurely every year due to excess emissions that car makers should have avoided by law. Zoom in to check cities in each cell. Click on a cell to see its population, the excess concentration of particulate matter due to nitrogen oxyde emissions from diesel cars above the EU limits and the premature death per year due to dieselgate. We identified the areas topping the chart in each of the most affected countries: in Italy, the conglomeration of north Milan and Monza (first in Europe by deaths); in France, north-west Paris (third in Europe); in Germany, central-east Munich (10th in Europe); in Britain, north-west London (12th in Europe); in Belgium, central-west Brussels (15th in Europe); in the Netherlands, central-west Amsterdam (34th in Europe); and in Spain, the whole of Barcelona (47th in Europe). In many of these areas, bans have been introduced in recent times for the most environmentally-harmful diesel engines. Italy is the deadliest country, including more than 40 percent of the top 100 worst regions and 50 percent of all deaths. Germany and France, on the other hand, lead the top five countries with the highest number of regions where deaths are above the EU average, beating even Italy and, in decreasing order, the UK and Poland. Diesel engines spew two powerful pollutants: fine dusts or particulates, technically termed particulate matter (PM 2.5), and nitrogen oxides (NOx). 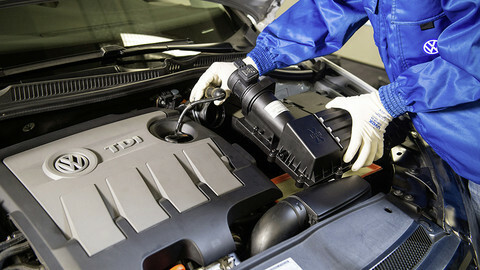 Diesel vehicles individually abide by particulate-matter emission limits. But, as Dieselgate made clear, they release nitrogen-oxides volumes far above the measures established in laboratories for environmental certification, and exceed the limits set by the EU. This is true above all for 'Euro 4 and 5' vehicles that represented 70 percent of the European fleet in 2015, but also in part for 'Euro 6' vehicles that accounted for only six percent and are expected to make up 33 percent by 2020 (figures based on IIASA's reports). In addition to being dangerous on their own, NOx emissions mix in the atmosphere with other harmful substances, indirectly creating even more particulate matter. 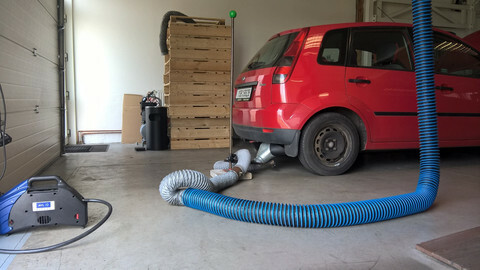 The study by IIASA and MetNorway aim precisely to highlight the health consequences of particulate matter indirectly produced by over-limit NOx (without, therefore, including the effects of either NOx or particulate matter directly emitted from diesel cars). Particulate matter is the most dangerous pollutant. Once inhaled, the microscopic compounds (named after their diameter of less than 2.5 micrometers) can penetrate the lungs and the circulatory system, causing or aggravating respiratory and cardiovascular dysfunctions, tumours and other pathologies. "If no action is taken to rectify the current diesel fleet, this health impact will be continued for another couple of years", says Jens Borken-Kleefeld, expert in transport with IIASA. 1. IIASA placed a grid on the map of Europe, dividing it into rectangular cells (or geographical regions) of 28 km x 28 km each, without any reference to official city limits or other administrative boundaries. The centre of each regional cell is indicated by spatial coordinates (longitude / latitude). Since the positioning of the cells is strictly formal, they sometimes extend into the sea. 2. IIASA then measured the atmospheric pollution for each regional cell (taking into account other factors, such as local meteorology and topology), from which it extracted the specific data for particulate matter. IIASA also counted the number of inhabitants in each cell. Quantifying particulate matter and the number of inhabitants allows to weigh the level of concentration according to the population and, therefore, to measure the effective exposure. The latter determines, indeed, the number of expected deaths. For each regional cell, IIASA eventually identified the excess quota of particulate matter produced by diesel nitrogen oxides over the legal limits. 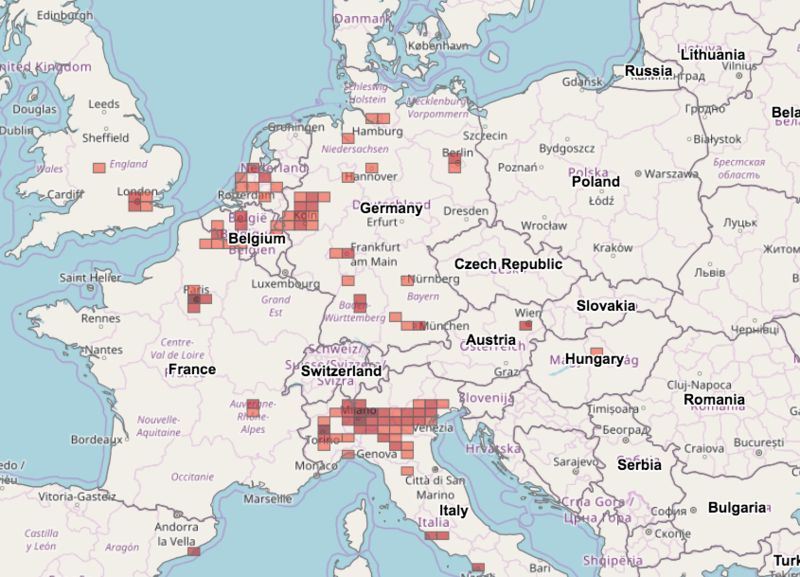 This quota results from the difference between two measurements: the mix of polluting emissions from all sources, near and far (local, urban, regional and cross-border), including excess nitrogen oxides from diesel, minus all emissions, including nitrogen oxides from diesel supposedly compliant with EU thresholds. 3. According to the WHO's risk function, we estimated an increase in mortality of 0.62 percent for each excess microgram / cubic metre (µg/m3) of particulate matter. Therefore, to obtain the actual increase in mortality attributable to Dieselgate in each regional cell we multiplied the 0.62 percent coefficient by the fraction of PM 2.5 from excess nitrogen oxides that was calculated by IIASA. 4. We then made an inventory of annual deaths in every regional cell, reasonably supposing that the mortality rate in each region is the same as the country to which it belongs (available in the official statistics of Eurostat). The number of recorded deaths in each cell results from the multiplication of the mortality rate by the number of inhabitants therein. 5. Finally, we multiplied the recorded number of deaths by the increase in mortality due to the excess fraction of PM 2.5, thereby obtaining the number of additional deaths in each regional cell – namely, the premature deaths presumably attributable to Dieselgate. 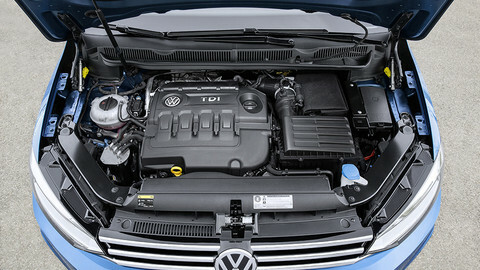 The ruling is bad news for the future of diesel engines in passenger cars. The EU has, however, taken a backseat on coordinating the EU's 200+ low-emission zones.